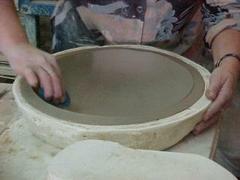 My name is Dionysia Avouri and I would like to welcome you to my workshop in Marineika, Zakynthos, in Greece. Marineika is a small village, 3 miles north from Zakynthos town and 20-25 minutes walk from the beautiful beach of Tsilivi. 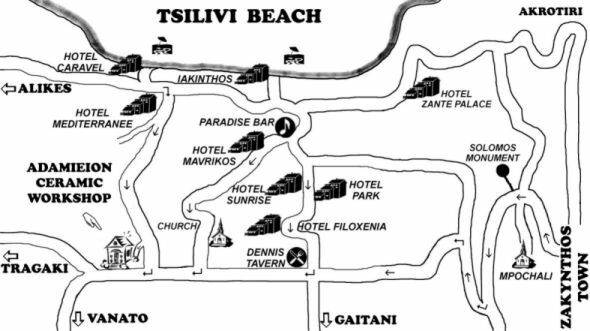 Planos-Tsilivi is one of the most popular touristic resorts of Zakynthos island. 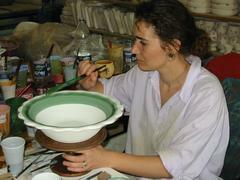 I was born in Marineika, and, after finished high-school, I moved to Athens to study Ceramic Art and Painting for 5 years. 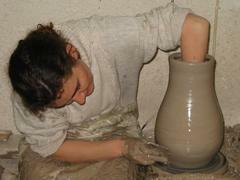 At the same time I worked at ceramic workshops in Athens to acquire experience and learn techniques on making ceramics. 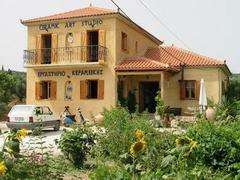 When I finished my studies I returned back to Zakynthos where I opened my Workshop and Showroom in September 1996. During year 2001 I expand it so now the Showroom includes a new session on first floor which is open to visitors and in this way it is easier for you to see my creations. 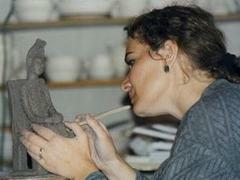 In the next pages you have the opportunity to see the way I work with clay and to browse through my collections.